An array whose elements you want to separate and redistribute into clusters. An array in which each cluster contains one element from each input array. The number of elements in the output array equals the number of elements in the shortest input array. This node performs the same operation as Example 1 in the following image. 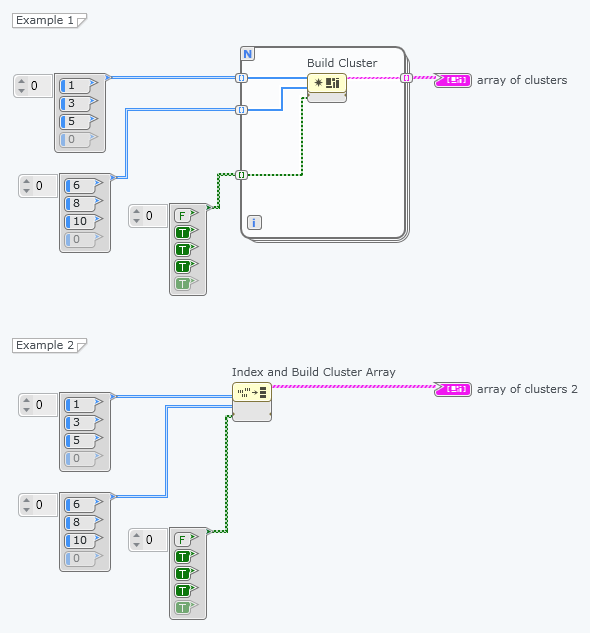 You can use Index and Build Cluster Array to improve both implementation time and memory usage.